The blaze toppled the building’s spire this evening and threatened the entire wooden frame before being brought under control. 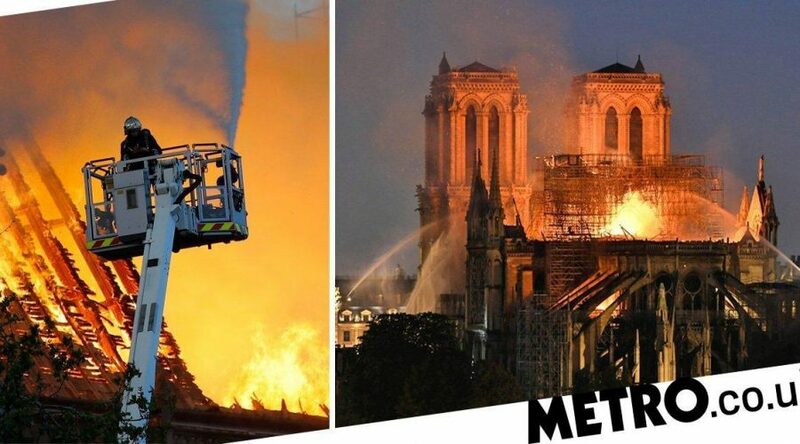 He said two-thirds of Notre Dame’s roofing ‘has been ravaged’. She added: ‘It just looks like it’s out of control. I’ve never seen a fire in real life but the flames keep getting bigger and bigger. I don’t think it’s getting better at all.